As a breeding company, there is a misconception that we only select for traits that have a clear, direct economic impact: selection for increased first quality egg production, improved livability and improved feed efficiency. The improvements in the aforementioned traits have contributed significantly to a more sustainable egg industry, resulting in an affordable high-quality, animal protein. But today’s definition of sustainability does not only consider the economy, the productivity and the environmental impact, but also animal welfare and public health. As our goal is to make a contribution towards a sustainable future, our breeding food, animal welfare, biosecurity, genetic resources, environmental impact, and reduced use of antibiotics are key parts of our breeding programs and daily operations. As the start of the value chain, we need to look beyond the requirements of today; our breeding programs should anticipate the changing needs of the future. Close communication with the distributors of day-old chicks and pullets together with egg producers is crucial in forecasting the future needs and trends. But it is also important that we are closely connected to academics and (N)GO’s to safeguard our awareness of the latest developments in the field of academic research and government legislation. In order to supply the best possible genetics for each market, an extensive gene pool is required: over 40 different elite lines are part of today’s breeding program. This high number of genetically different elite lines is the result of successful mergers and acquisitions, which enables us to maintain these unique genetic lines in viable population sizes. This strategy is also clearly reflected in the motto of Hendrix Genetics: “Embracing the past, to catch the future”. Each of our elite lines have their own specific characteristics for the different traits that we are selecting for. 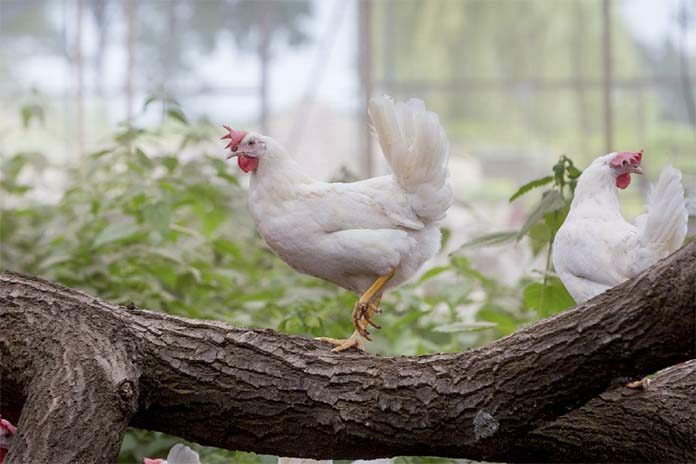 The focus on female lines is often to select for efficient first quality egg production and livability, while the male lines are selected with different emphasis on individual selection traits. In our intensive field-testing program, we test 350,000 laying hens every year under field circumstances, which contributes towards the success of our birds. 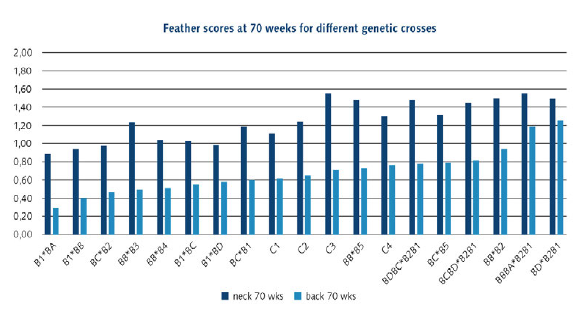 Within our field-testing program, we can identify the right crosses for the right market. We test a large variety of elite line crosses and from these birds we are able to record their egg production, egg quality traits, social interactions and their plumage condition. Most of our birds are tested in small family groups with group sizes ranging between 4 and 20 birds and consisting of full and half sibling (e.g. birds within the same group have the same sire). For a few years we have tested our birds in large groups (over 60 birds per group) with the help of our automatic nest system. 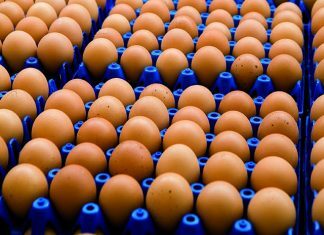 Daily egg production is recorded at the individual level with the aid of Radio Frequency Identification (RFID’s). We can trace back the eggs to the individual, which will enable us to measure the various egg quality traits of those eggs linked to the individual birds. Only eggs that are being produced outside the automatic nests cannot be linked to individuals. As this is an undesired trait of laying hens, we are indirectly selecting against this behavior. Birds that are producing floor eggs will have a lower number of successfully recorded egg production. Social interaction in relation to the birds’ health and welfare have been part of our breeding program for many years. 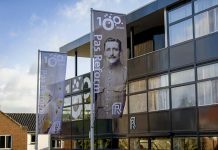 Together with Wageningen University and Research, we have developed a whole new range of genetic models to be used when selecting for animals and the direct and indirect effect on social interactions . This will result in improved genetic progress for traits that have in general low heritabilities (e.g. less than 20% of the phenotypic variation that you see is directly related to the birds’ genetics). 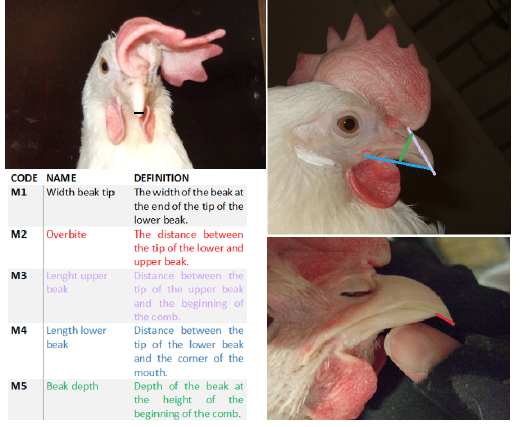 Beginning in the early days of Hendrix Genetics, we have included birds with intact beaks in our field tests. In the early days, we tested less than 40,000 birds a year with intact beaks, but currently this number is over one third of all our birds tested annually, and this number is increasing every year! If birds are kept under challenging environments, mortality tends to be higher in flocks with intact beaks. We have found that mortality due to negative social interactions between birds has a much higher heritability compared to general mortality: h² > 0.15 for birds with intact beaks versus h² < 0.05 for birds with beaks that underwent beak trimming. Our field test program has resulted in improved general livability for all our birds. Besides looking at livability, we also look at the plumage condition of our birds kept in groups. Plumage condition is measured by scoring the condition of the feathers that are located on the neck and the back region. Feather scorings are taken twice and are considered when selecting for future generations of birds. Improved feather cover results in improved wellbeing of the birds as they are better able to maintain their thermoregulation, which is of major importance when birds have outdoor access. There is also a correlation between deteriorated plumage condition and negative social interactions, as worsened feather cover is often the result of feather pecking. With two of our research partners, we have also started a selection experiment to divergently select for Natural Antibodies (NAbs). The goal of this project is to see if increased levels of NAbs will lead to improved disease resistance. If a clear relationship can be proven, we have a relatively easy method to further improve the health of our birds. From our own birds, we register every treatment with antibiotics. Our intensive biosecurity program and the use of an effective vaccination program are the main reasons that only a very low number of our birds have received antibiotics during their lifetime. If antibiotics are applied, it is always under veterinary supervision and only for a short time to treat the specific disease. Sharing best practices in the field of biosecurity and helping others within the egg industry to bring their biosecurity to the next level is one of our goals. With a sustainable breeding alone, we cannot make the difference. The increased genetic potential of laying hens, irrespective of the trait, can only be achieved when the developments in farm management, nutrition and disease control are going in the same direction. Improvements within the entire sector to minimize production losses and to improve the health and welfare of the birds is the key towards an improved, sustainable egg industry. Cooperation and collaboration between all stakeholders within the egg sector is crucial for success.